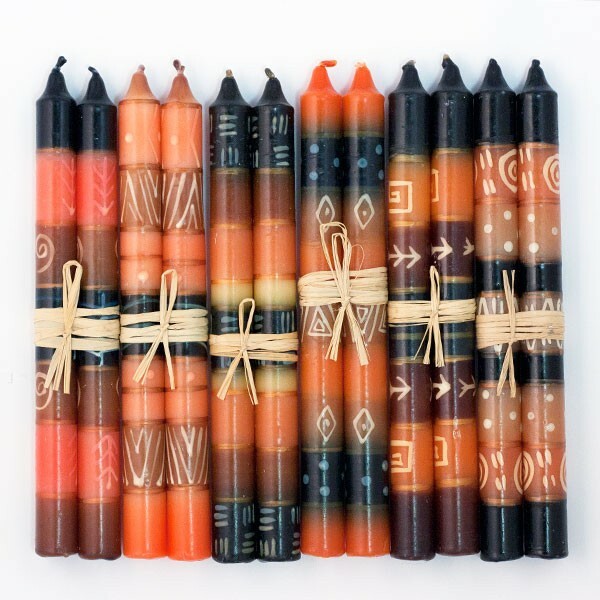 These candles are a great way to bring a genuine piece of African art into your home, and are conversation starters no matter what room you put them in. The colors are inspired by crimson skies, bronze landscapes and gentle buttercup cream and green grasslands of Africa. Additionally, there are collections that have been crafted to go well with specific holidays or events as gifts and decorations. Every candle's unique combination of stripes, spirals, squiggles and whorls is designed and hand-painted by a small team of artisans, ensuring that no two pair are exactly alike.